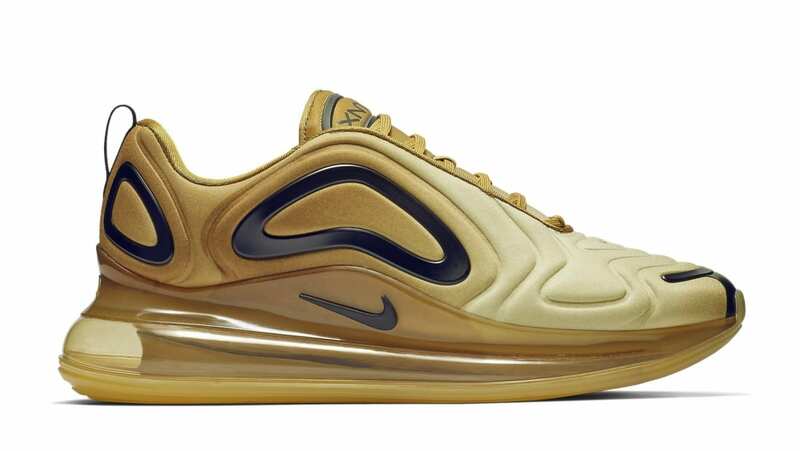 Nike Nike Air Max 720 "Desert"
The Nike Air Max 720 "Desert" will incorporate yellow hues distributed throughout the entirety of the runner with black accents on the toe, sides, and heel. Yellow hues continue onto the midsole and full-length 720 Air Man unit. Release date is Feb. 28, 2019 at a retail price of $180.